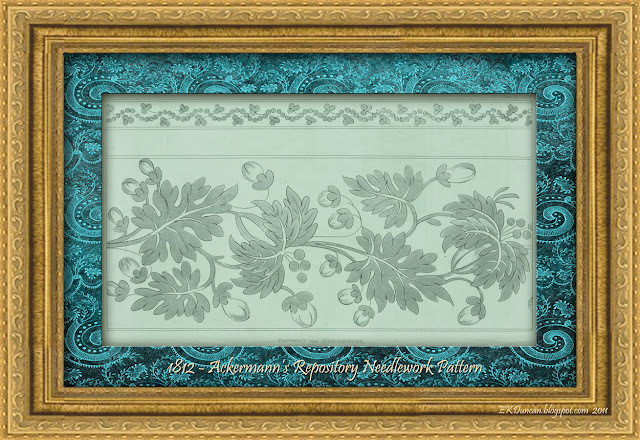 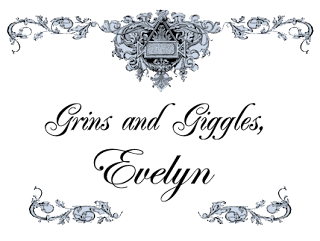 Needlework played a significant role in the Regency period. 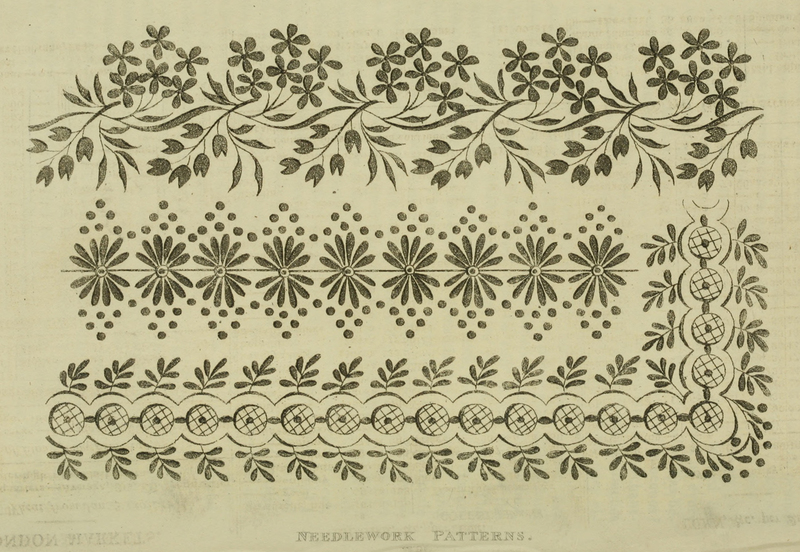 The industrial age had not yet started and most textile work was performed by hand, including the creation and ornamentation of clothing and linens for the home. Those of the affluent classes could afford to pay for these services to be performed for them but those of lesser means or those women wishing to display their skill with needle and thread would stitch in one form or another during their leisure time. 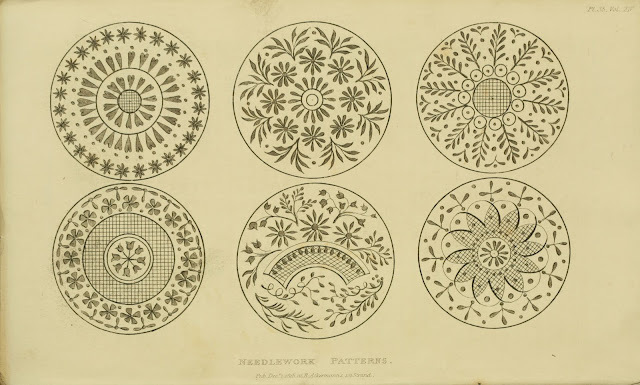 These lovely patterns can be used as inspiration in so many modern day crafting projects that I could not resist posting them. 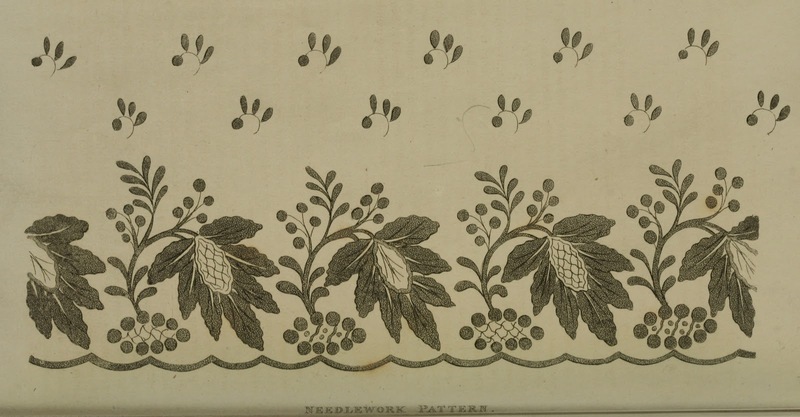 I'm sure their original creators would smile if they knew they were getting a new life nearly 200 years after their creation. 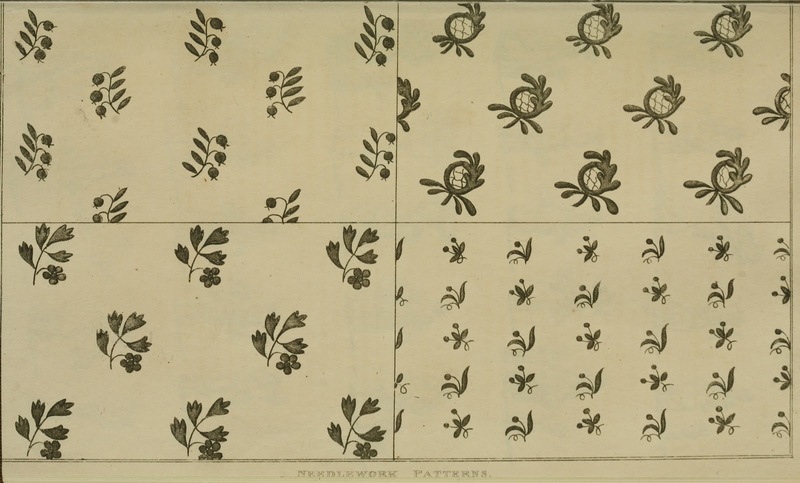 these pattens to create digital scrapbook and crafting backgrounds. 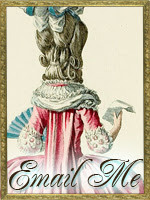 Robes, wraps, dresses, collars, waistcoats, garters, chemises, linens and more. 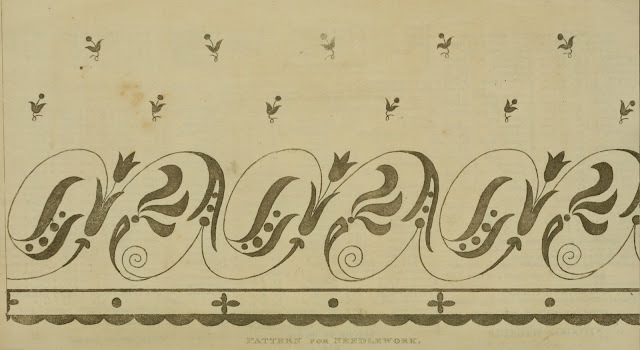 The interesting thing is that only occasionally was there any written information to accompany these patterns. 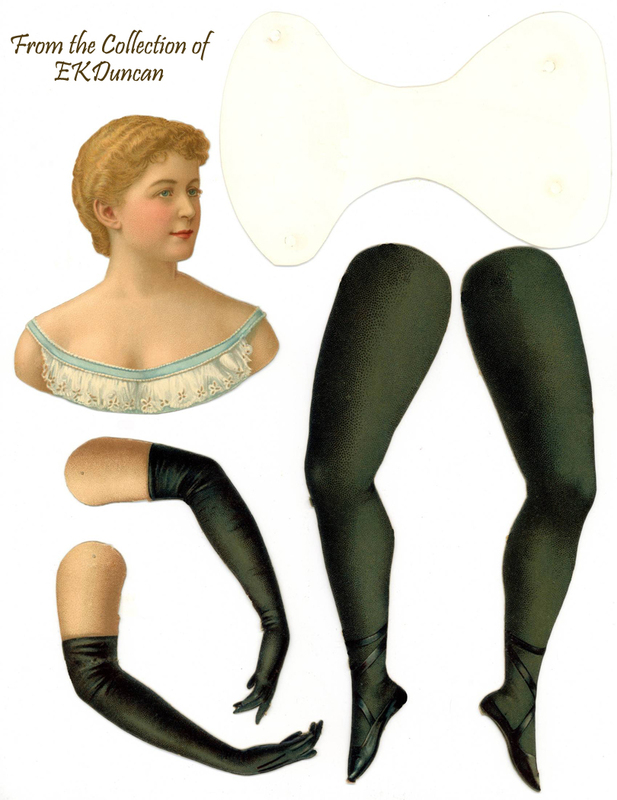 I guess for the most part the ladies were thought to be accomplished enough to know how to use them properly or to apply them as they saw fit. Here are a few that I was able to find for some of the above patterns. 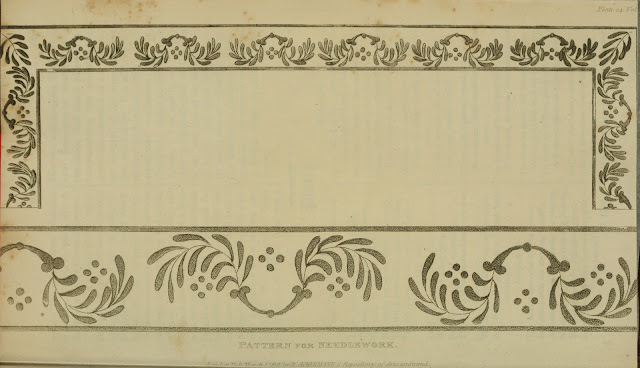 found on the pages of Ackermann's Repository. 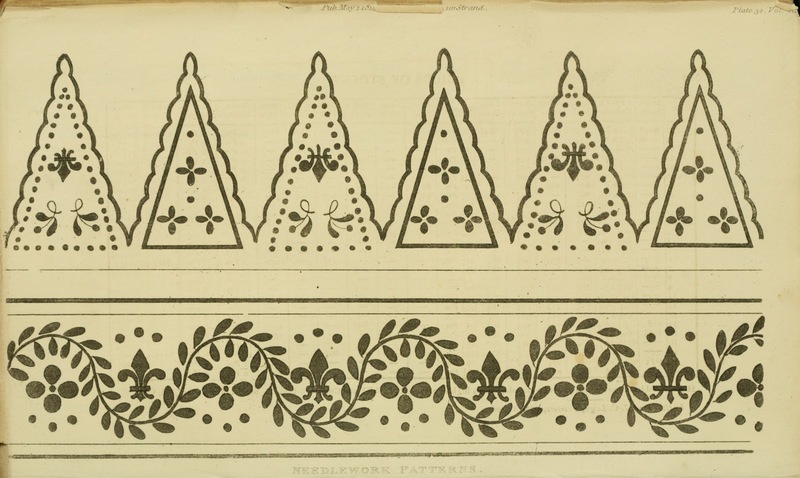 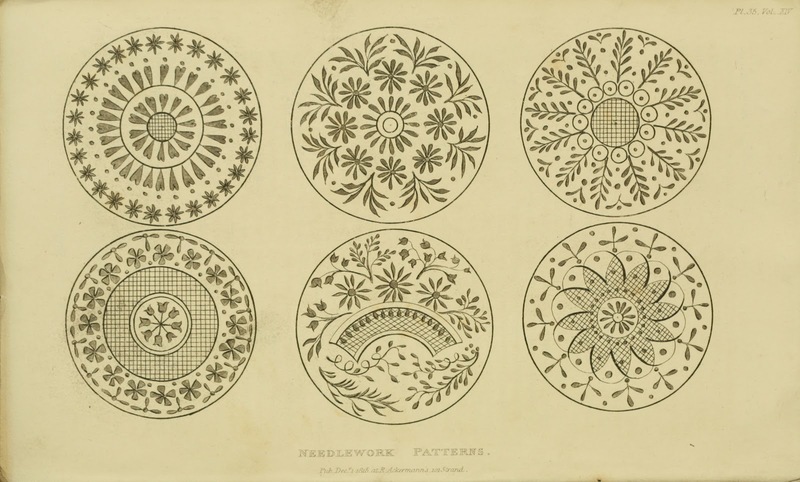 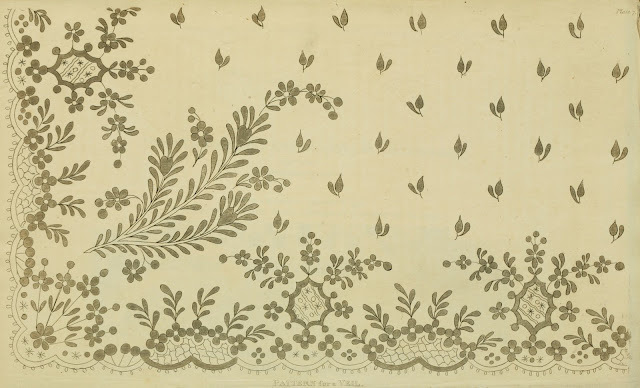 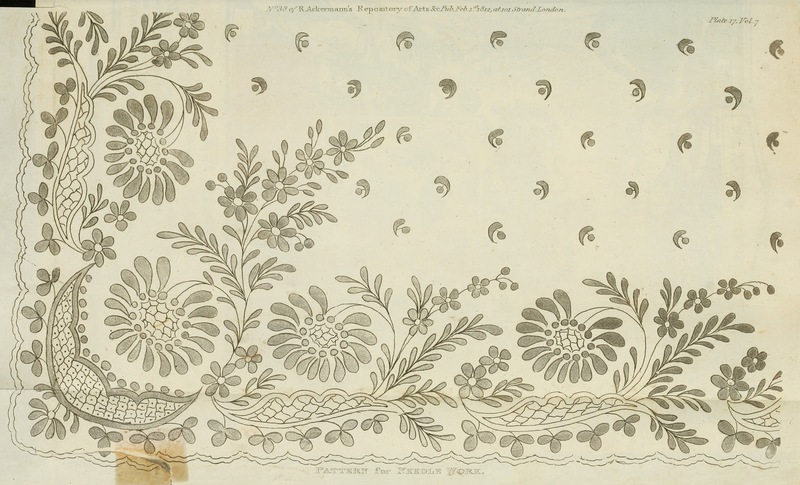 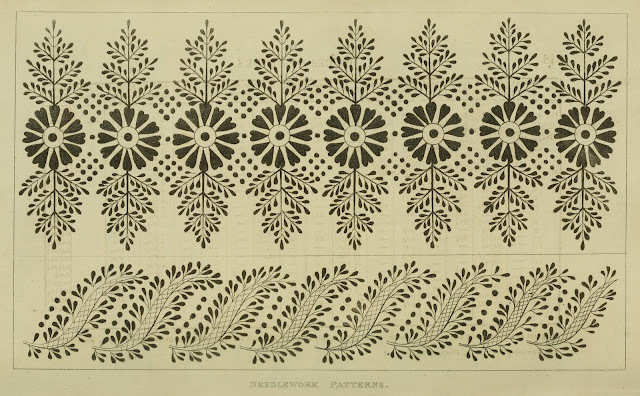 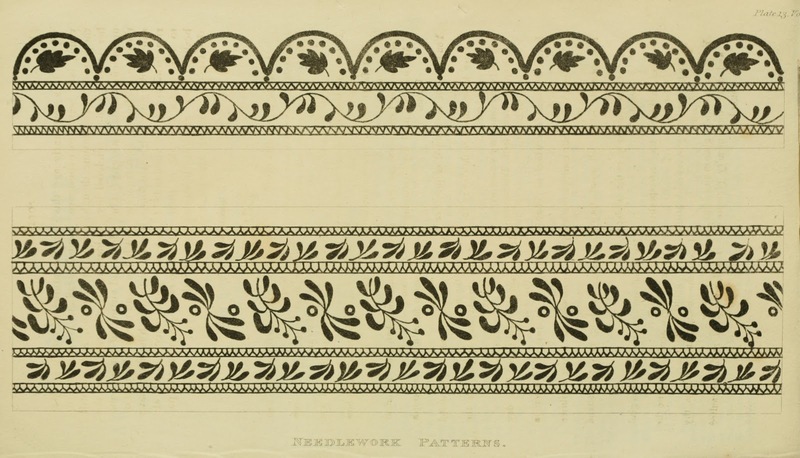 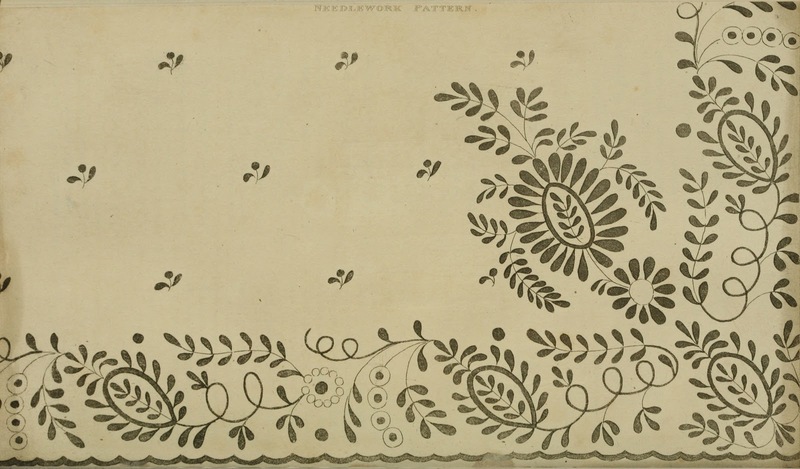 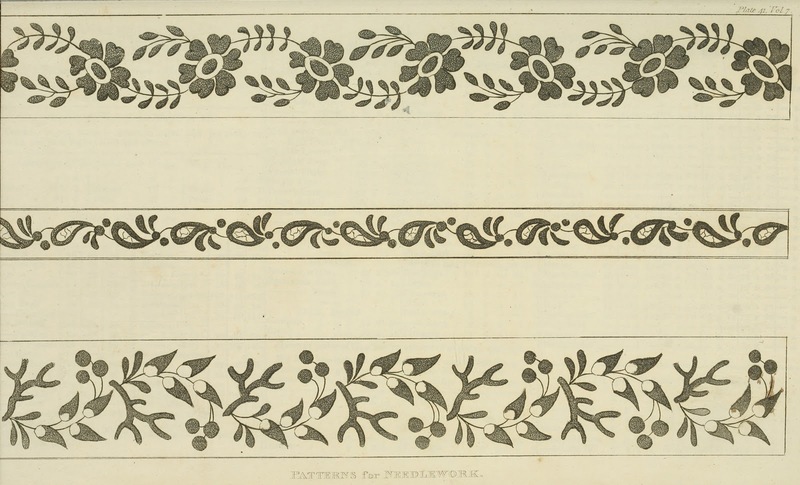 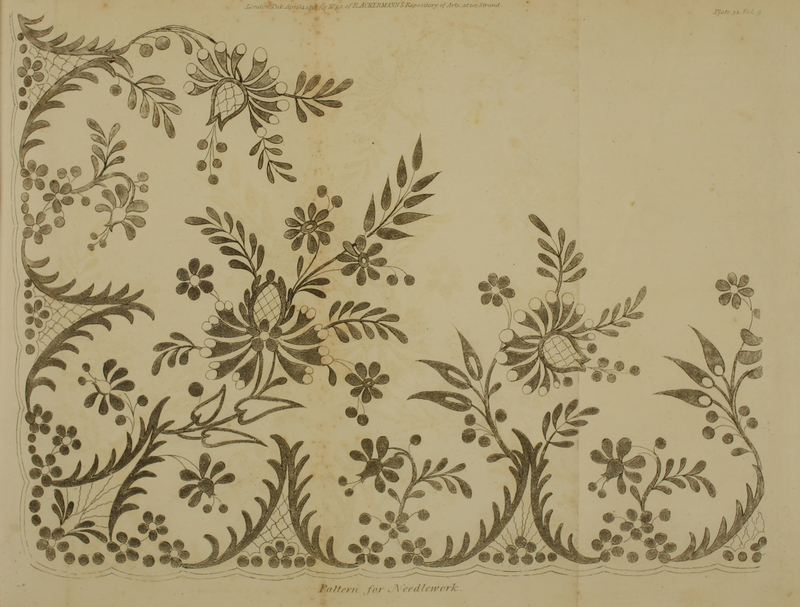 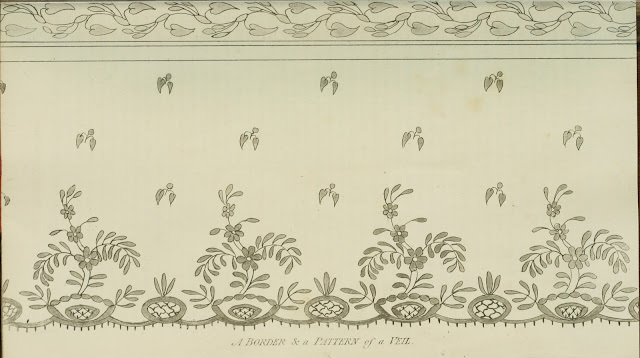 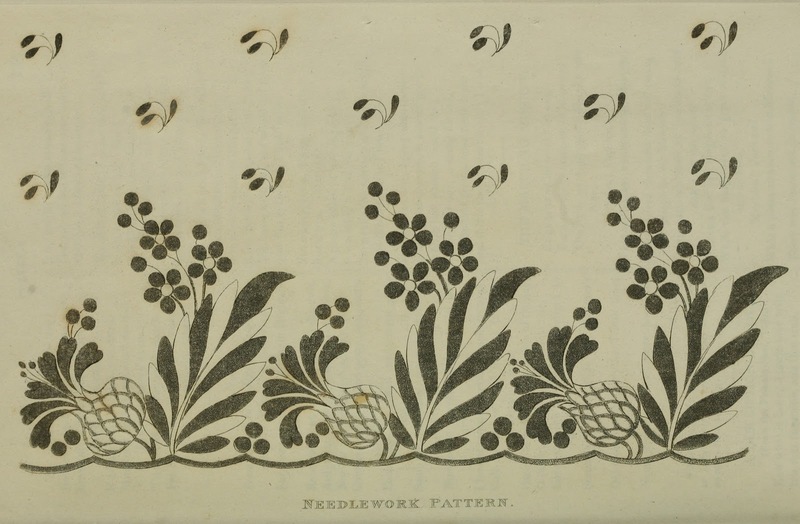 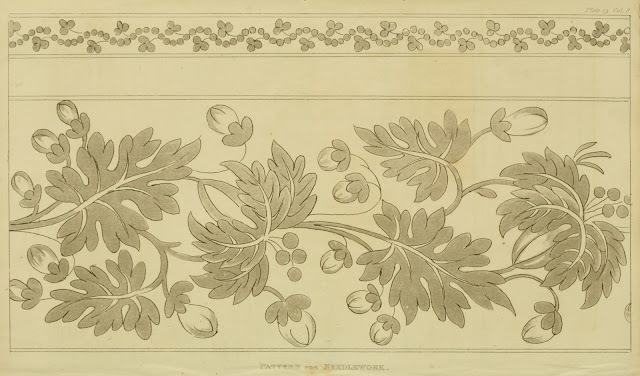 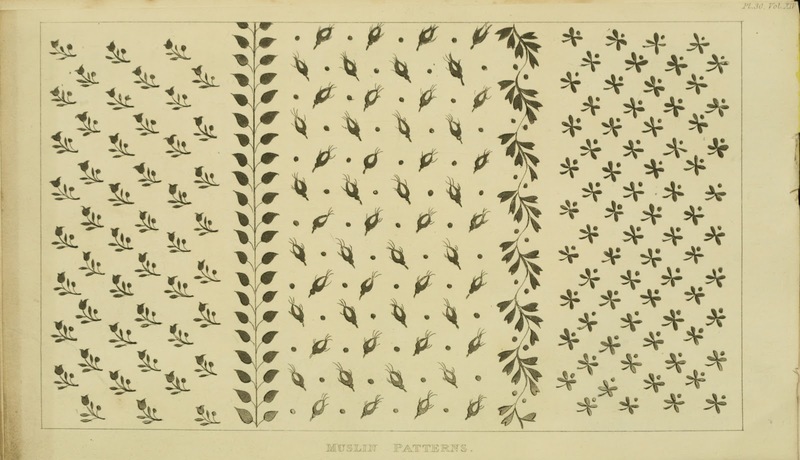 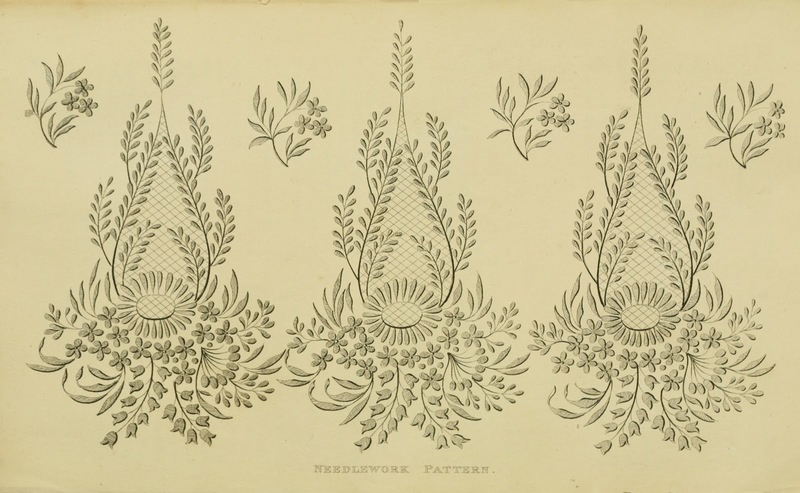 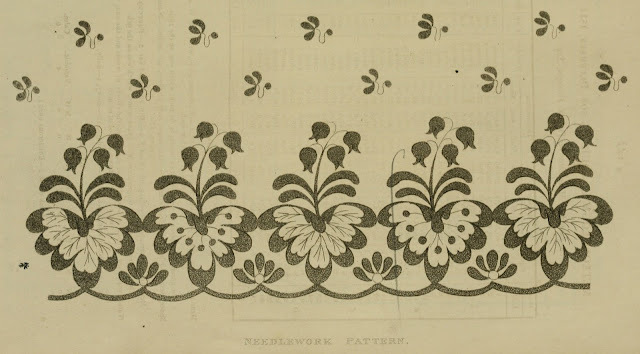 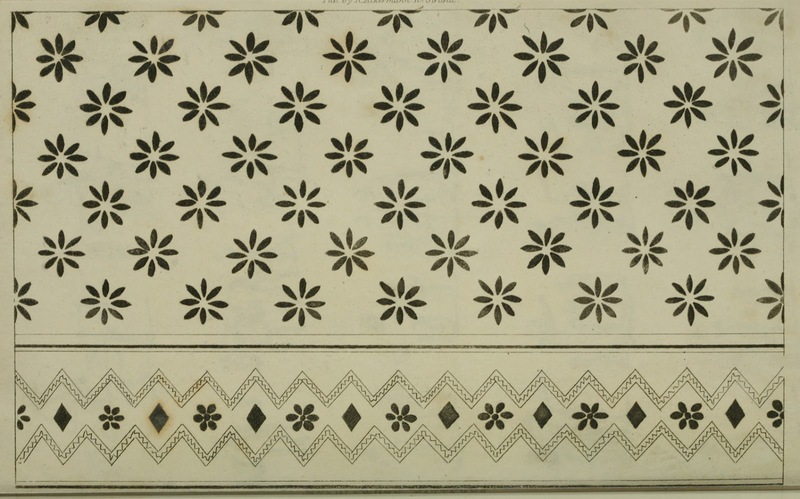 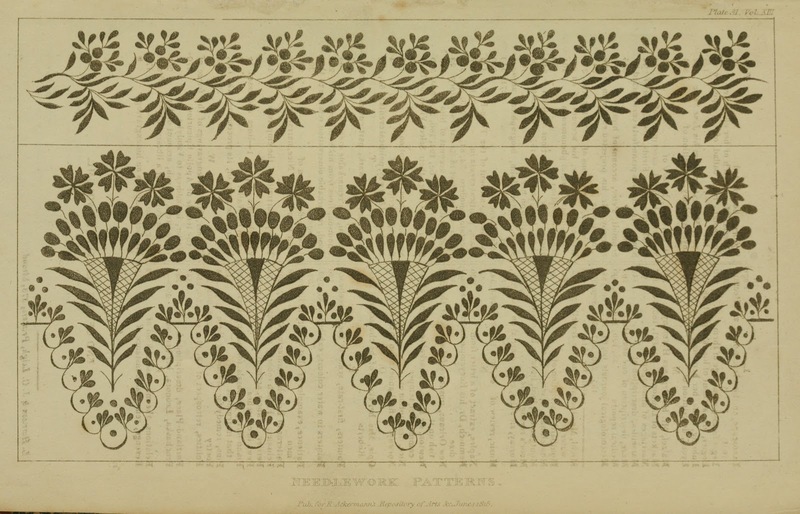 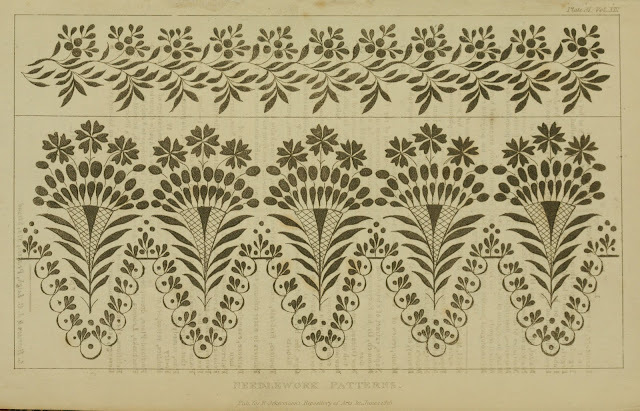 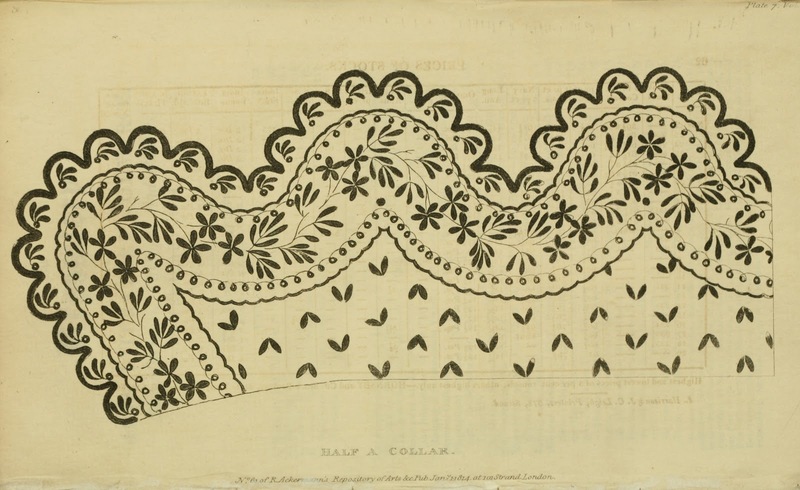 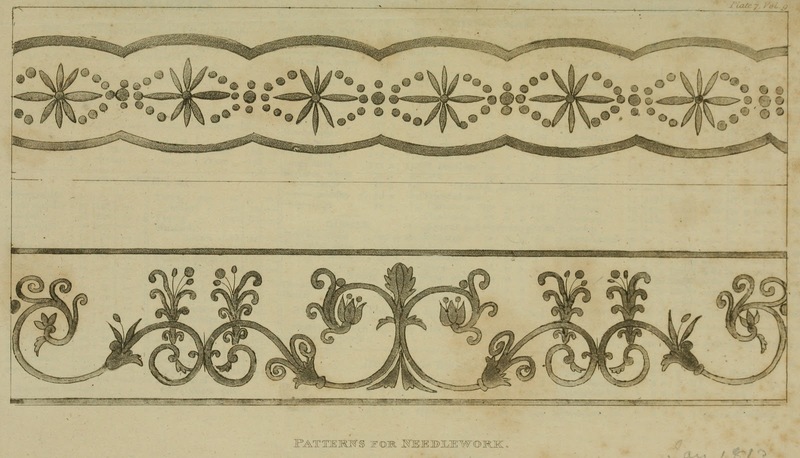 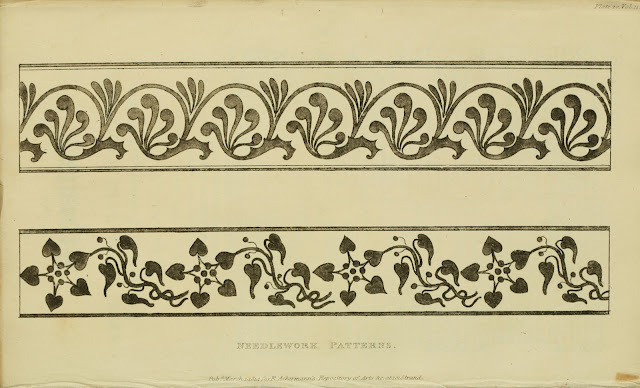 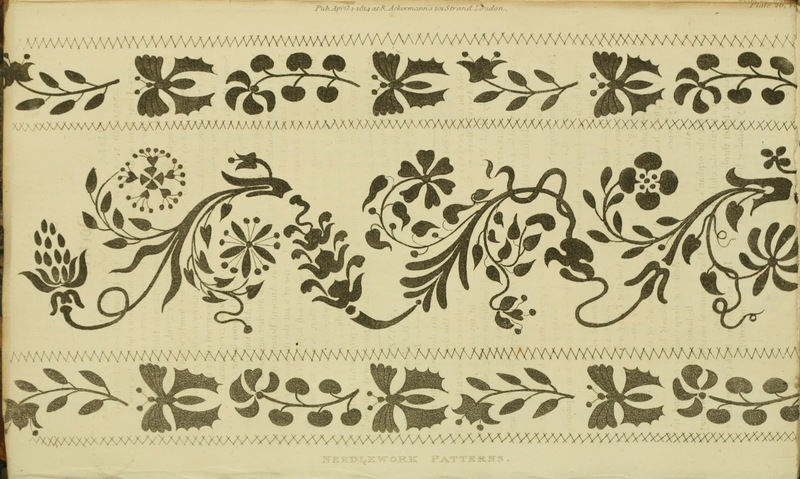 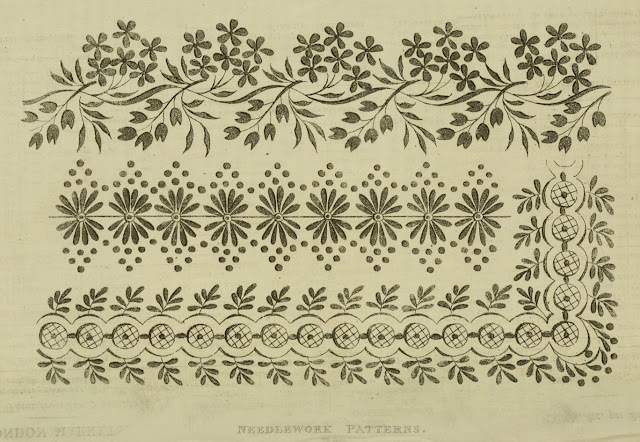 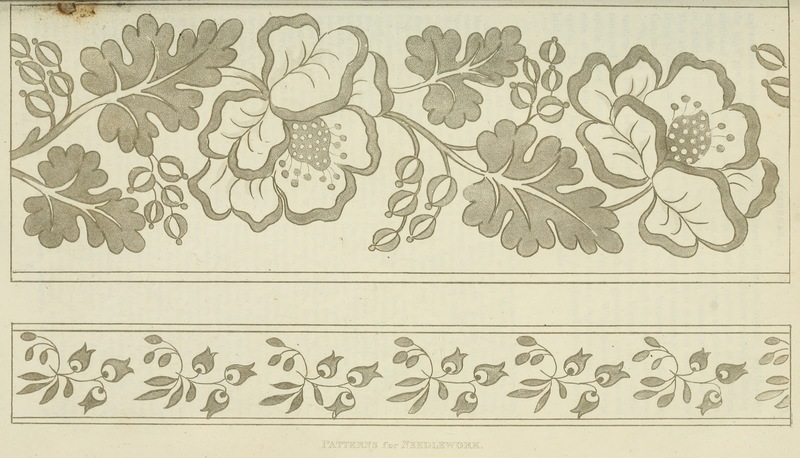 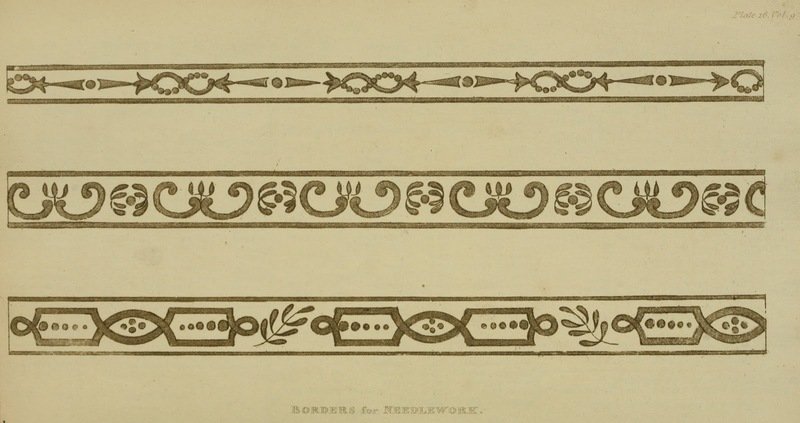 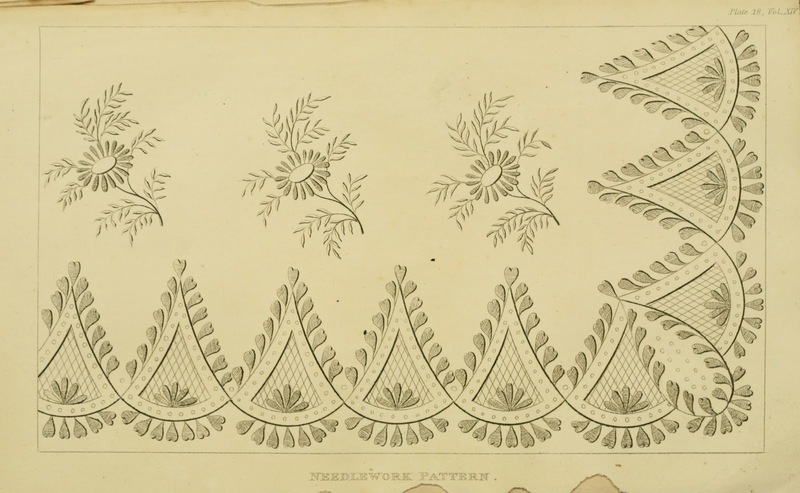 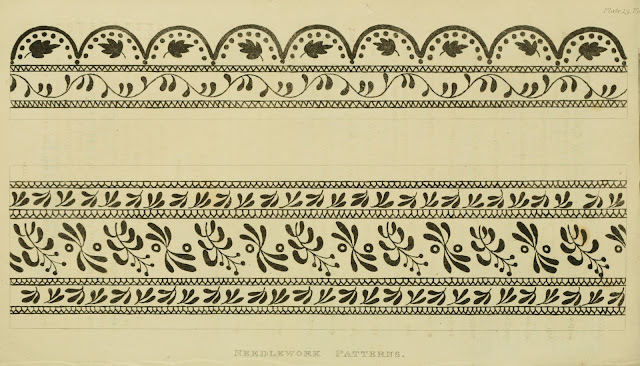 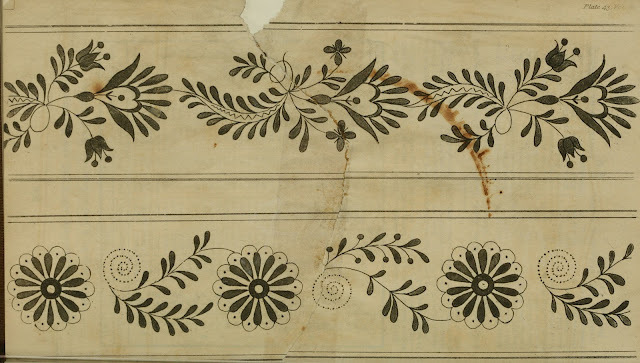 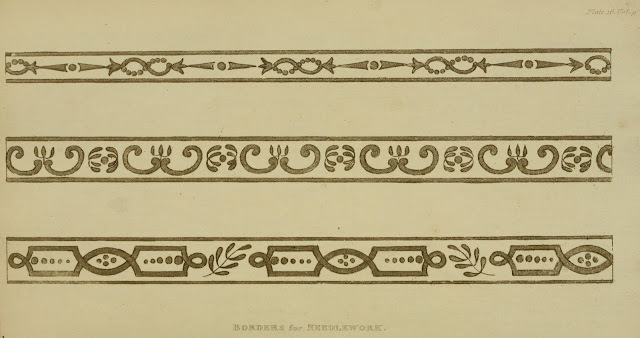 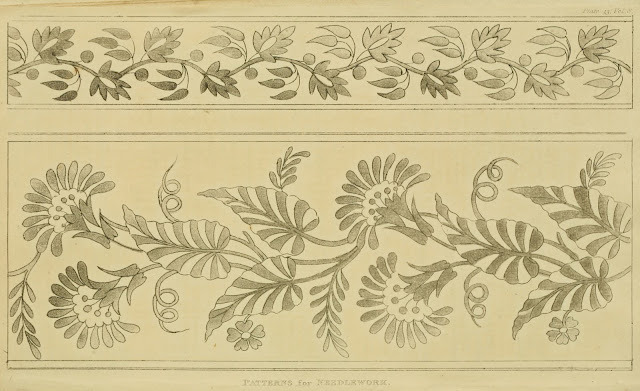 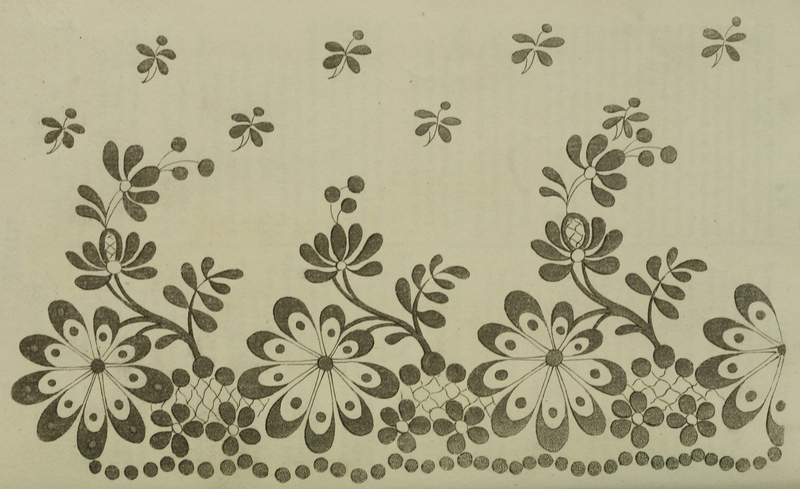 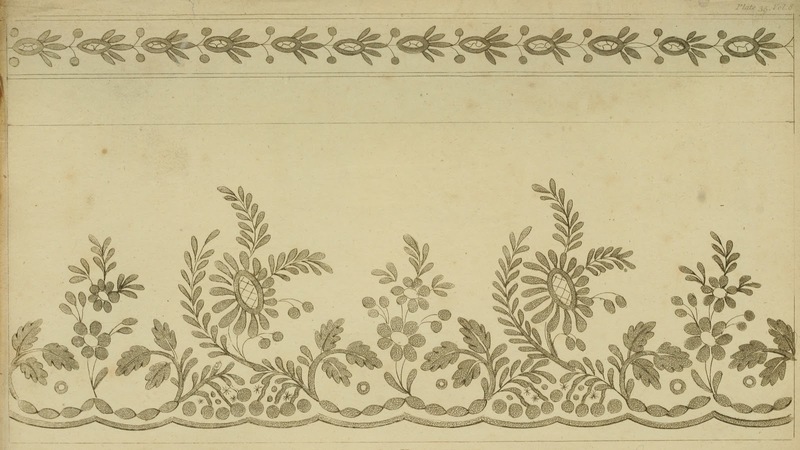 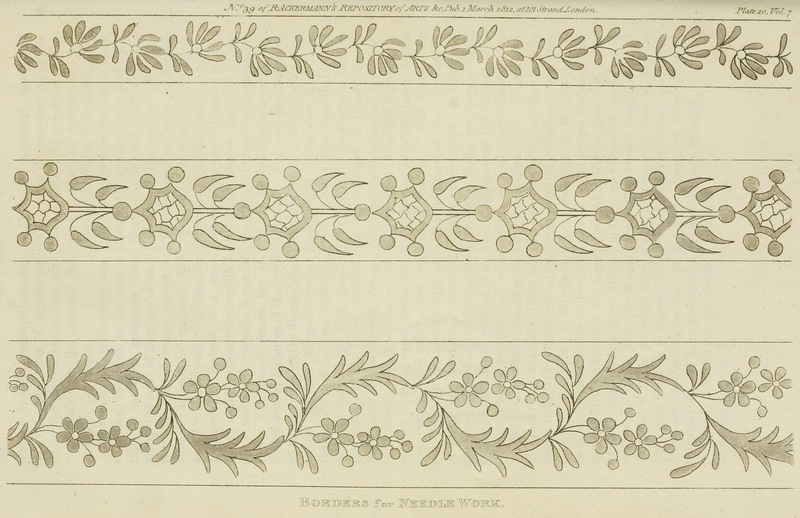 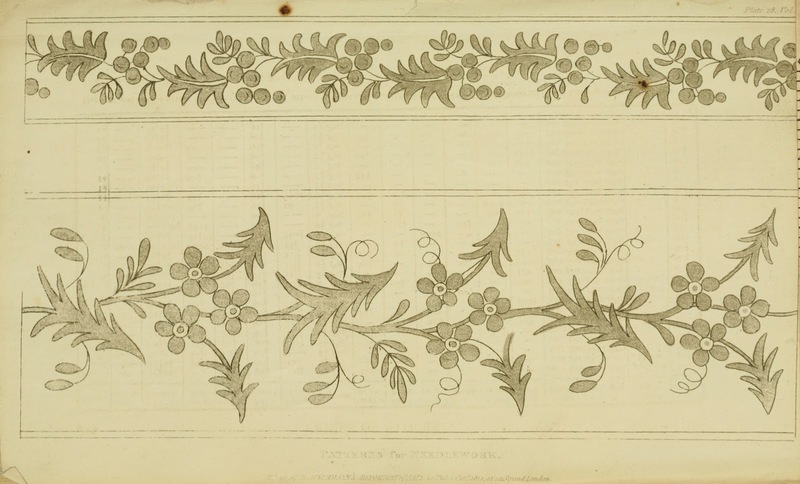 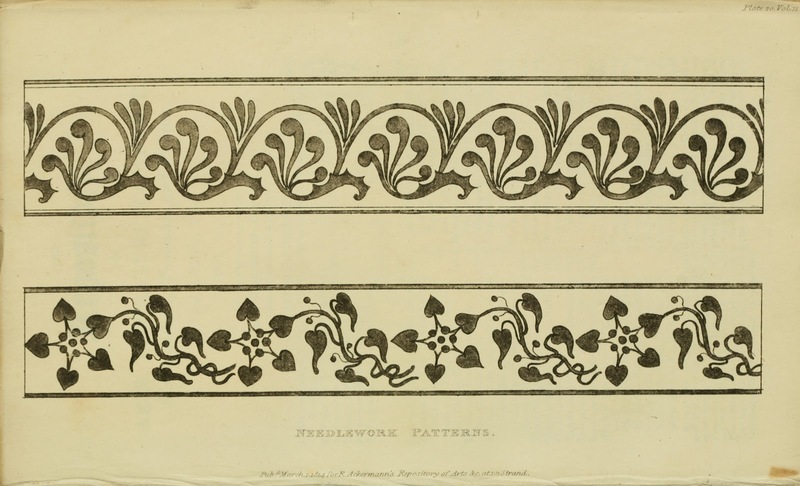 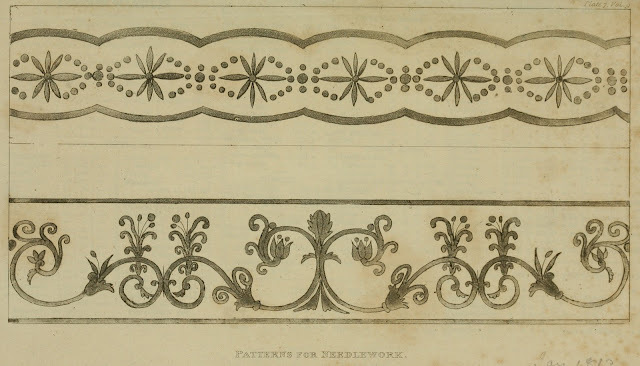 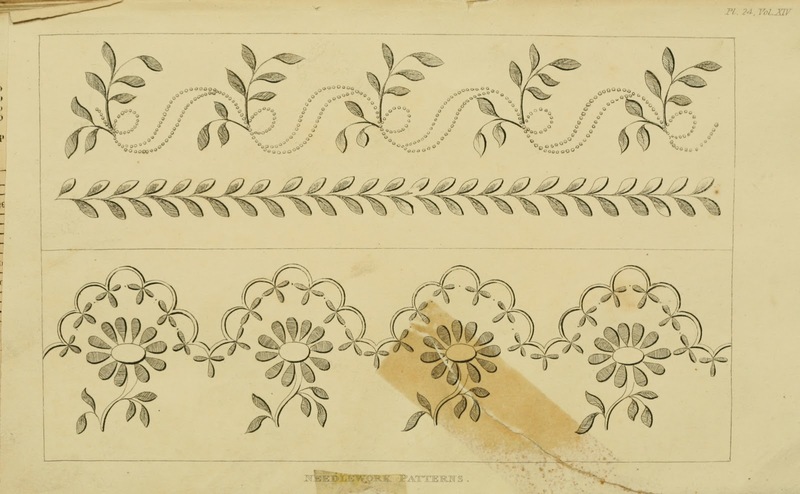 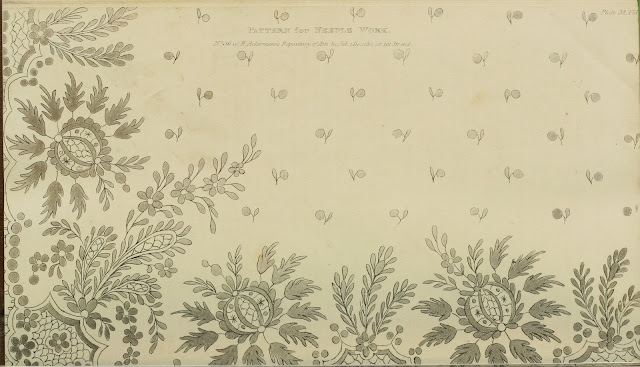 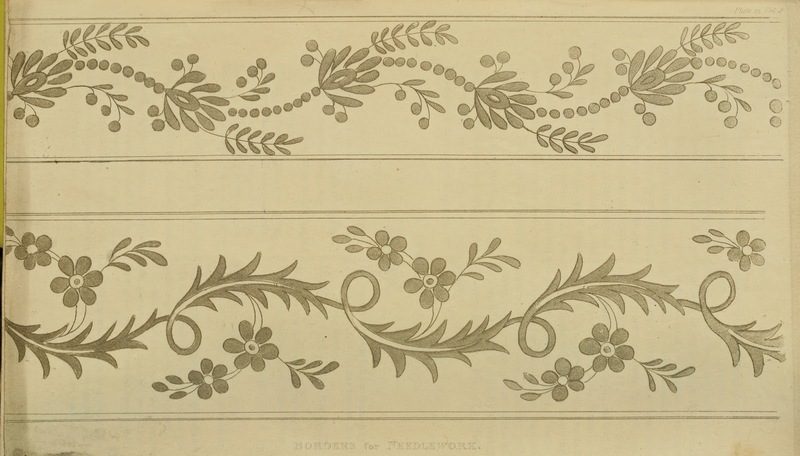 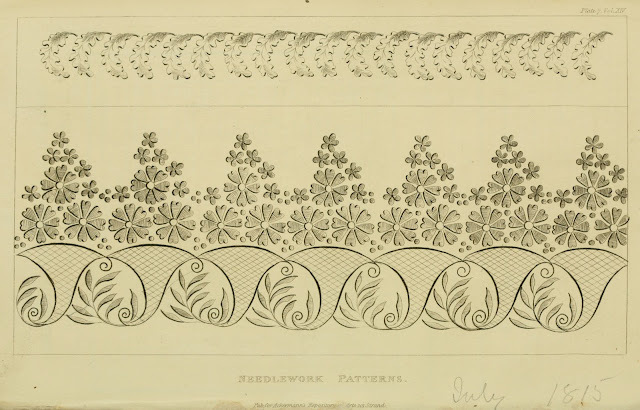 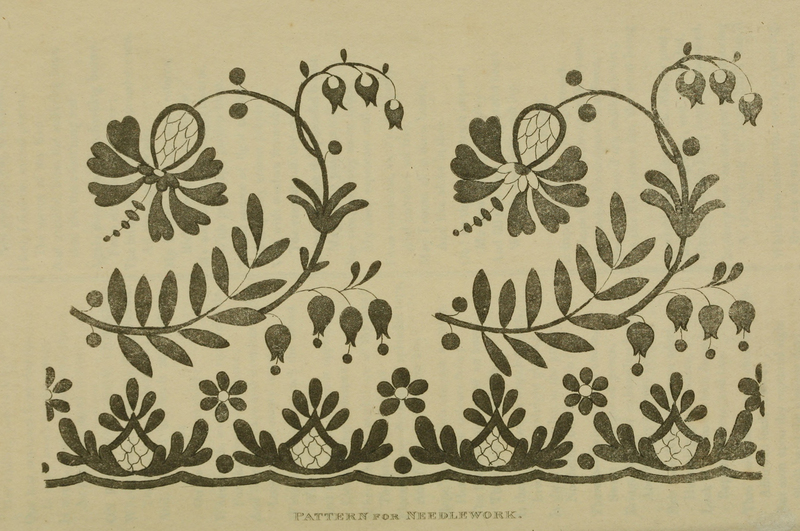 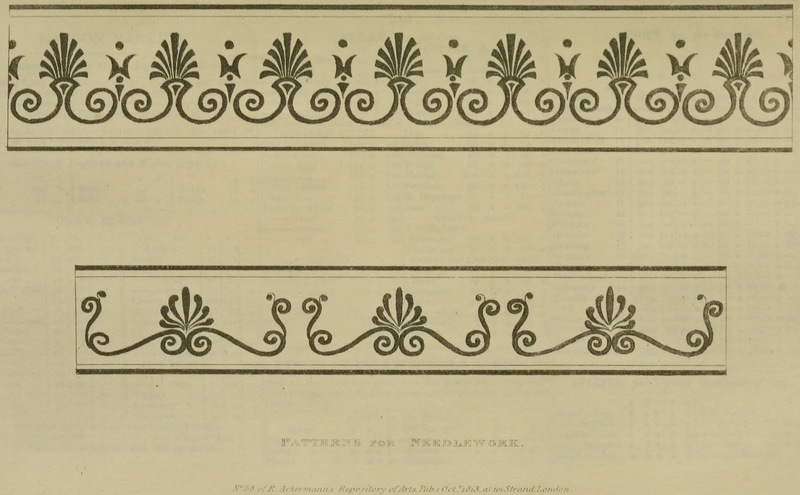 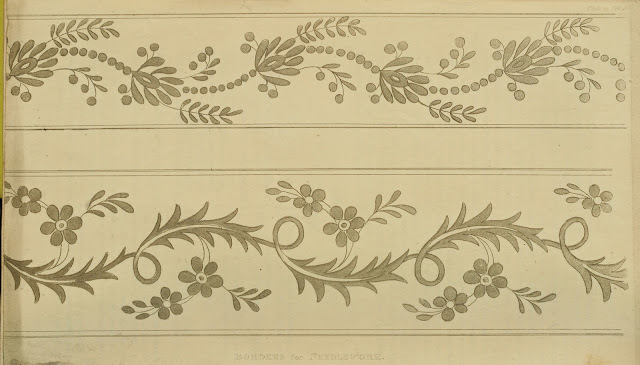 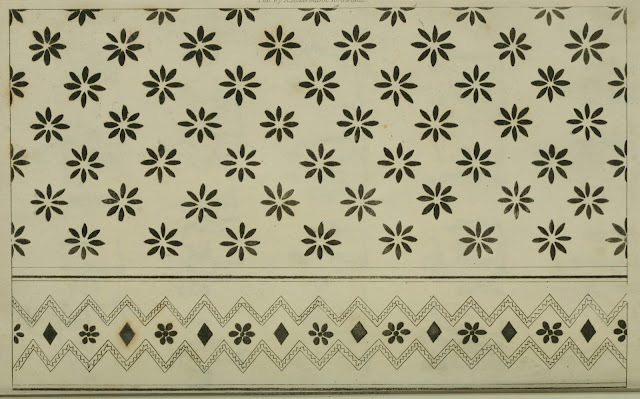 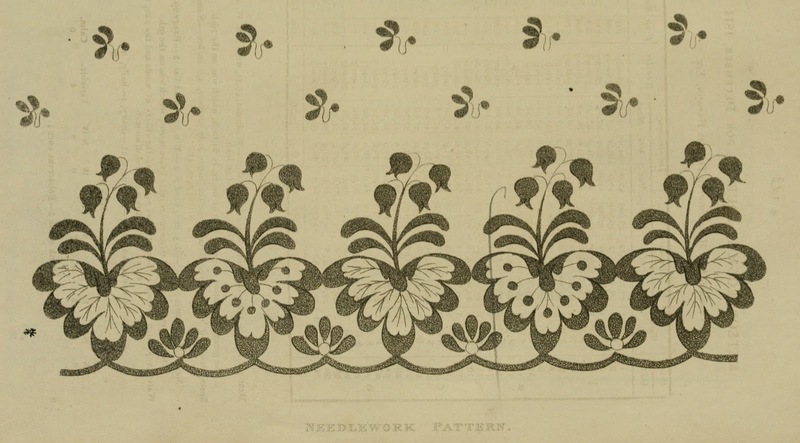 needlework patterns form 1816 - 1820. 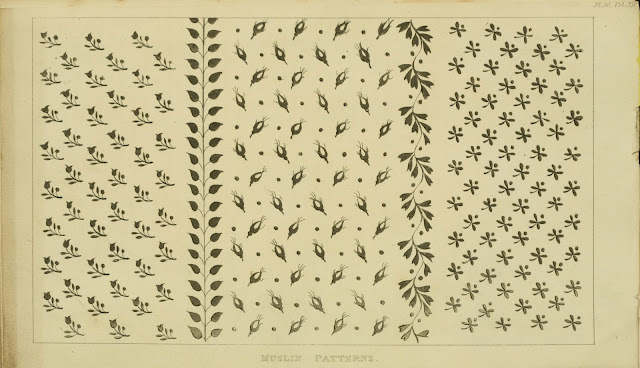 These are some amazing patterns, such a great historical reference. Thanks for putting these up. 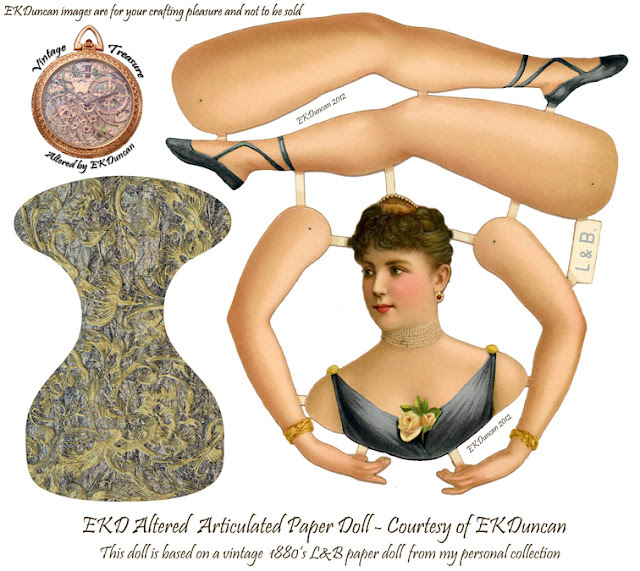 Do you know if there are any copyright issues with using these designs in fabric patterns? 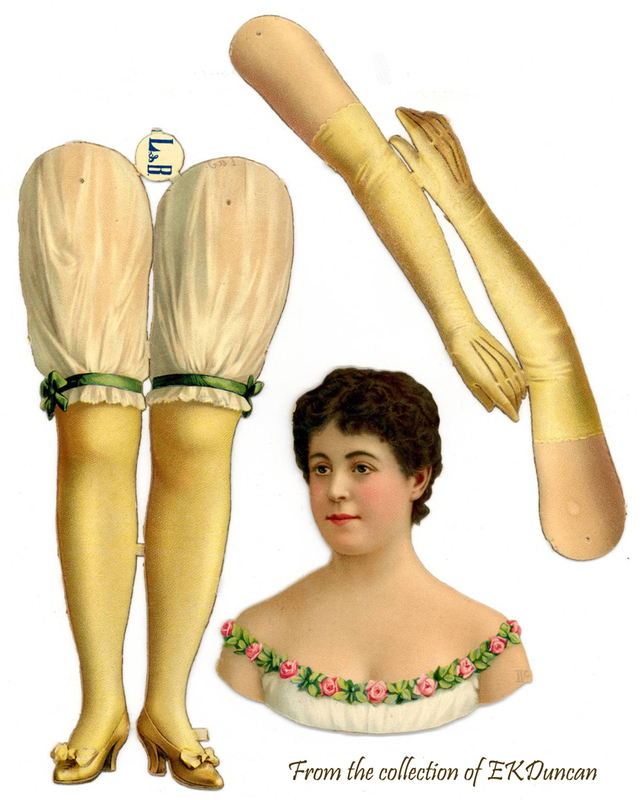 Thanks Madeleine, I'm glad you like them too. 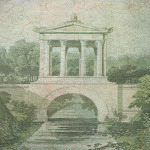 I'm so glad these old treasures have not been lost to the mist of time. 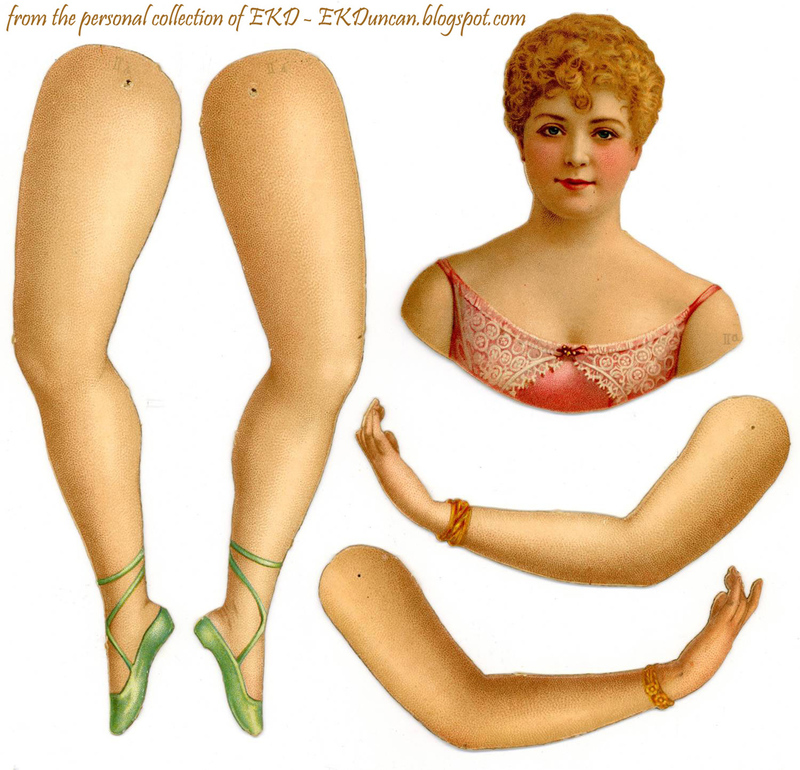 Considering these are over 100 years old I would not think you should encounter any issues. 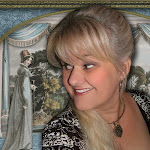 Hey Jen - Thanks for letting me know you like the post. 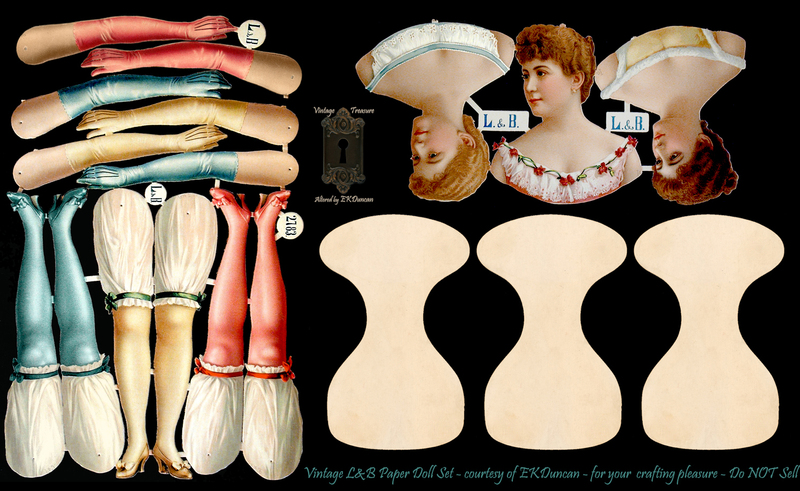 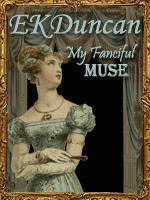 I love the fact that these vintage beauties get a second chance to "shine" 200 years after they were first published.